Three weeks ago, a fistfight broke out among seven members of Kuwait's parliament. It started when a Shia pro-government lawmaker referred to Kuwaitis being held by American armed forces at Guantanamo Bay prison as "terrorists." A pro-Sunni Salafist opposition lawmaker took offense at that characterization, according to Reuters, and a sectarian fistfight quickly broke out. That incident was just a part of the larger story of hostility between Kuwait and Iran. During the Iran/Iraq of the 1980s, Kuwait sided with Saddam Hussein of Iraq against Iran. After the war ended, Saddam returned the favor by invading Kuwait in 1990, in order to make the country Iraq's 18th province, resulting in the American-led Desert Storm war with Iraq. After Desert Storm liberated Kuwait, Kuwait began reaching out to Iran, though their relationship has never been friendly. Things began going downhill last year, when Kuwait arrested seven people, charging them with being an "Iranian spy ring" that was stealing secrets about the Kuwaiti army and US troops, and passing the information on to Iran, according to the BBC. Iran denied involvement, but when a Kuwait court in March convicted them of spying and condemned them to death, Kuwait and Iran broke diplomatic relations, according to AFP. Relations were restored in May, but last month Kuwait seized an Iranian ship smuggling guns into Kuwait, and two Iranians were arrested, according to the Gulf News. 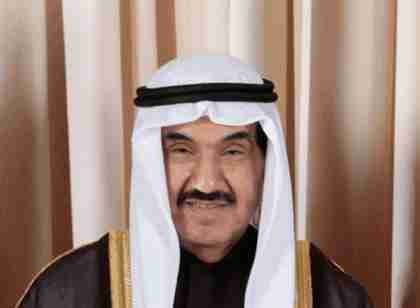 Relations are also strained because Kuwait is a member of the Gulf Cooperation Council (GCC), and has contributed troops to quelling the Shia anti-government demonstrations in Bahrain. Within Kuwait itself, the government is headed for a deep political crisis, according to Reuters, because of a split within the al-Sabah family that has ruled Kuwait for 250 years. What Kuwaiti leaders fear most is that the Arab uprisings that have spread across Mideast will reach Kuwait, and perhaps they already have. Two weeks ago, 2,000 young people took to the streets of Kuwait City demanding that the Prime Minister Sheikh Nasser Mohammad Ahmad Sabah be sacked because of corruption allegations, according to the LA Times. Some demonstrators are going further and demanding that a new prime minister be chosen from outside the al-Sabah family, for the first time in 250 years. Kuwaiti protesters are reportedly staging new rallies next Friday that they have dubbed "Day of Departure."